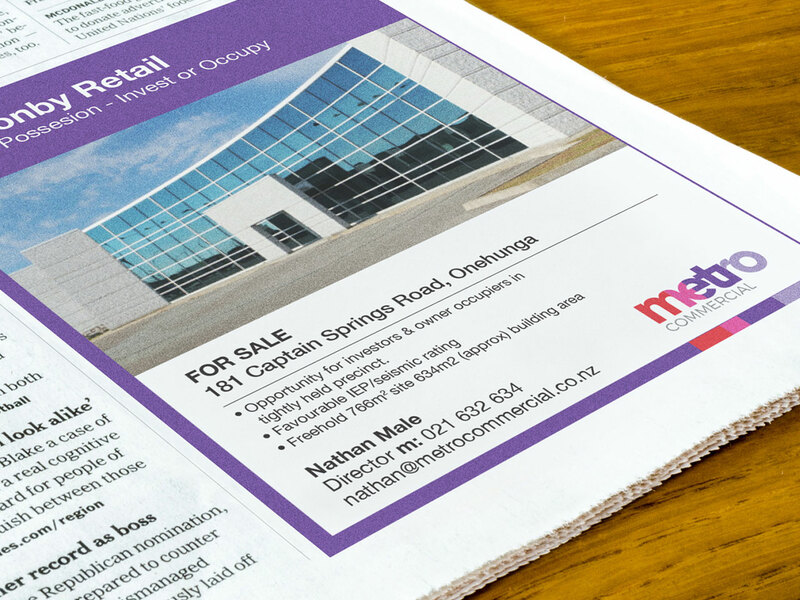 Metro Commercial first worked with us in 2005, as a start-up commercial realty brand. The logo design we created back then served them well, helping them to expand beyond Auckland and into other property categories. However brand assets can’t stay fixed in time, so by 2016 it was time for a refresh. 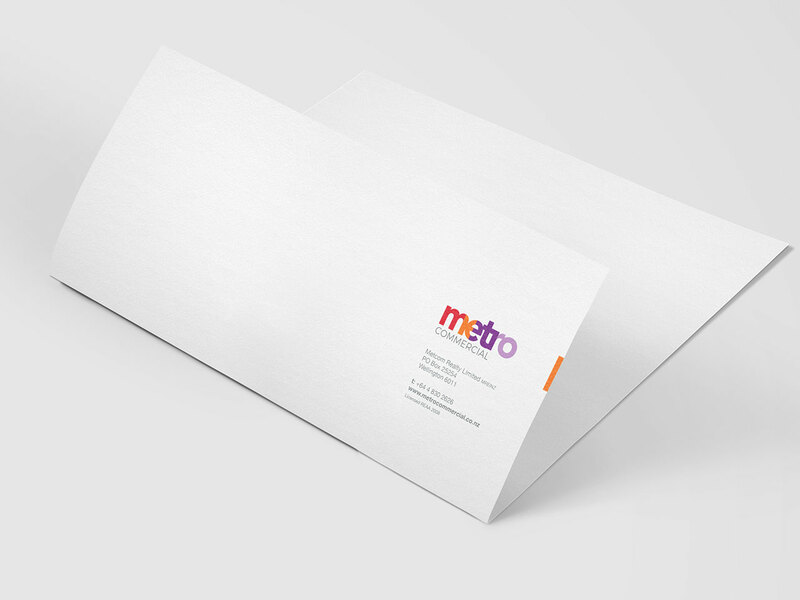 Metro came back to us, knowing their brand needed to take a new step on the evolutionary trail. While Metro’s logo was showing its age, the name was still relevant and the brand’s unique colour-change band was as distinctive as always. To revive the logo and equip it for another 10 years of success, our lead designer transposed the colour-change band to the company name and added a splash of orange, making the brand instantly more modern and dynamic. 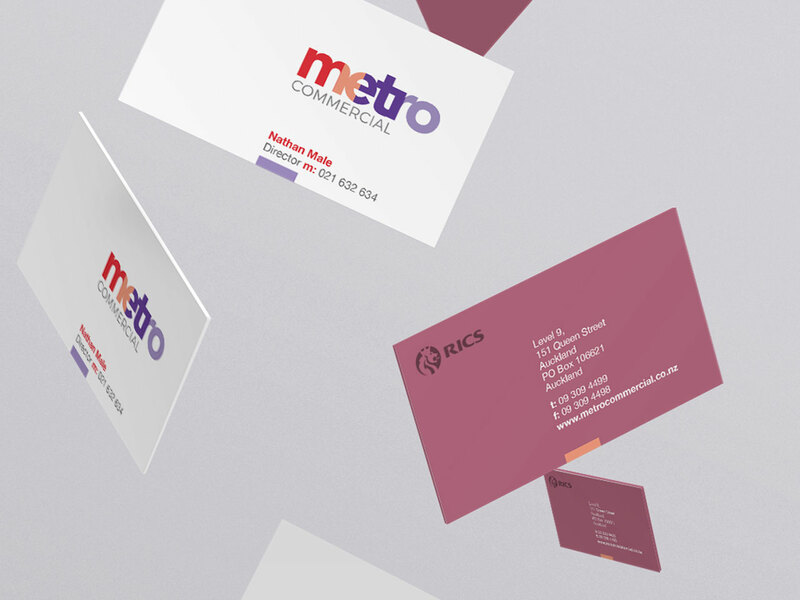 Metro’s brand evolution sits comfortably with the firm’s four business areas – retail, offices, investment and hotels. The feeling of movement generated within the logo by the changing colours is complemented by a new website that buzzes with the commercial life of New Zealand’s cities. Colour consistency across all brand channels is guaranteed by prescribed Pantone colours, which are captured in the brand guidelines.